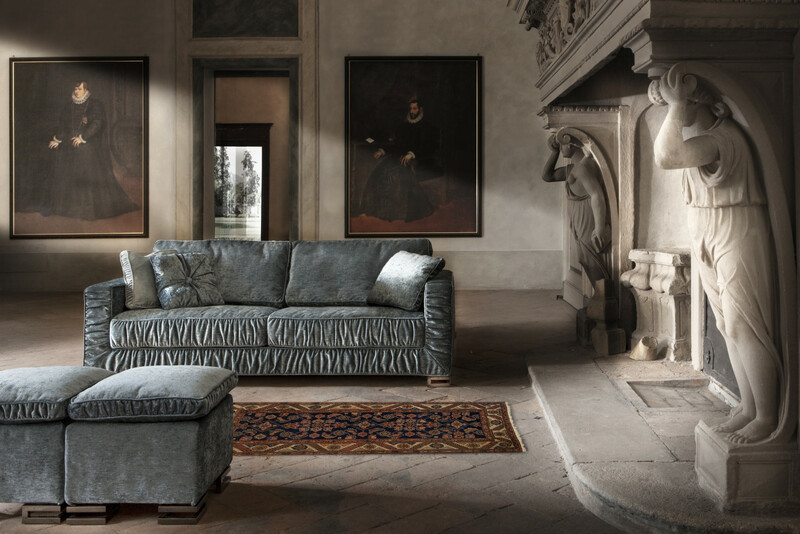 Garrison is a made in Italy sofa with ruched cover. 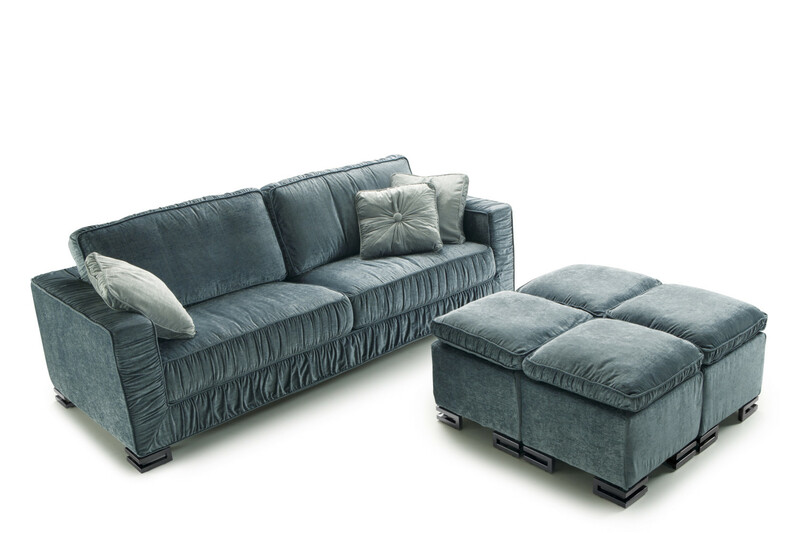 Available in 2 and 3-seater models in fabric, leather and eco-leather. Removable cover also in a tight version. 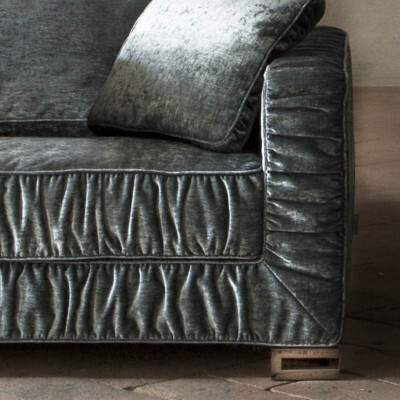 Garrison is a sofa with ruched cover that can be customised in many different ways. You can choose materials, colours, any detail of the cover, and even the feet look. To make it a refined and elegant model, you can choose a leather cover, or, if you want a similar texture at a more convenient price, eco-leather; if handiness and practicality are what you're looking for, fabric is instead the right cover for you. All these covers can be chosen in a weaved version, that gives the sofa a "creased look", or in a tight version, for a more linear look. Garrison is available as 2 or 3-seater sofa, and also in an armchair version. 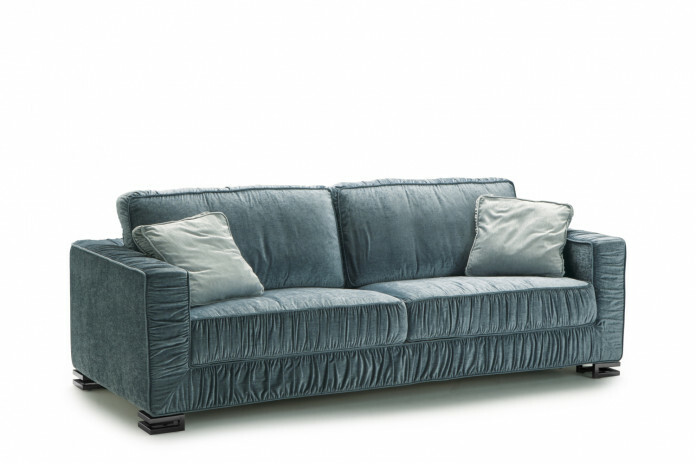 The sofa cover is available in two models: Garrison with creased cover and Garrison 2 with tight cover. Garrison is available in fabric, eco-leather and leather in all the colours displayed in the samples page. The sofa cover can be completely removed and washed according to the specifics of every material. The backrest and seat cushions and the sofa structure can be decorated with a contrasting piping. 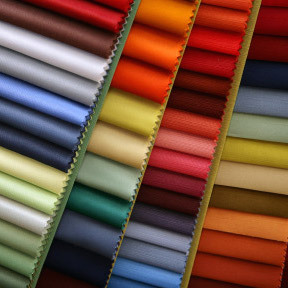 The piping colour can be chosen among the ones available for the same category selected for the sofa cover. Garrison feet can be chosen in wengè painted wood or black chromed metal. Mechanism or structure: high resistance furniture tube, oven coated with epoxy powders. Base made of plastic coated electrically welded steel mesh, fixed to the structure with springs. Soft seat with elastic webbing. Feet: wengé painted solid wood, optional black chromed metal. Seat: white duck/goose down and polyester/cotton cloth with 35 kg/m³ expanded polyurethane insert, 400 gr/m² thermo-bonded needled fibre covered with cotton cloth and mm 2,5 quilted interliner. Backrest: white duck/goose down with 21kg/m³ expanded polyurethane insert and polyester/cotton cloth.